Chelsea star meets with agent and Juventus director in Milan - Deal imminent. 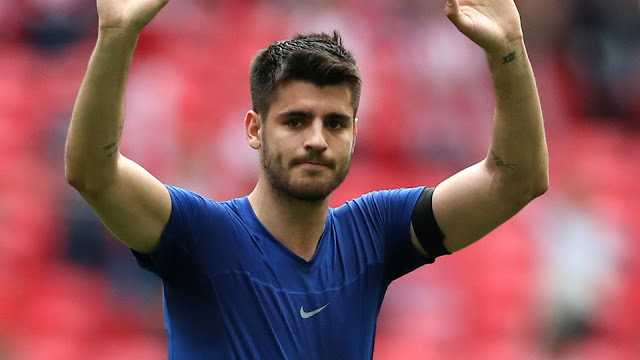 It seems as though it is going to be a busy summer for Chelsea with plenty of movement at the club both in and out with one player in particular seemingly set to leave within weeks - Alvaro Morata. I had really high hopes for Morata when he signed for the club as I had previously stated on here that he is world class and will go on to prove that he has the ability to be one of the best strikers in the world. In my view, he is a much more rounded striker than the likes of Romelu Lukaku so I was pleased when we signed him. He started the season off really, really well and was on an impressive run for his first season in the Premier League with Stoke being his best personal performance scoring a hat-trick that day including a sensational goal running from the half-way line to score. Unfortunately for Morata, injuries then started to plague his season with a back injury that would not go away. He has spoken recently as how he should have stopped training to let his back recover properly but he didn't and it has pretty much ruined his season including now being omitted from the Spanish World Cup squad this summer. 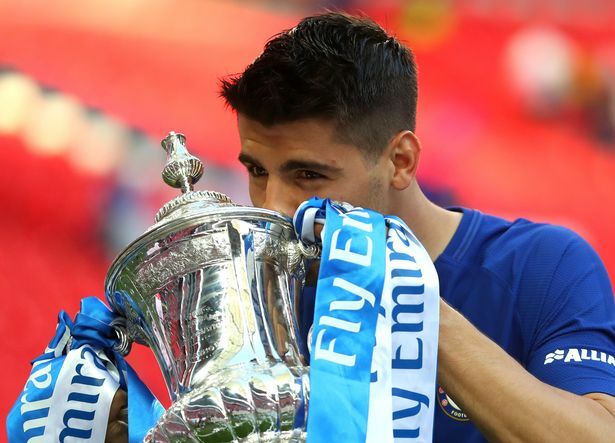 Alvaro Morata has looked a frustrated player in the latter stages of the season picking up needless bookings and a suspension for berating Referee's in games when things have been going against both him and Chelsea overall. Things were personally made worse for him when Chelsea signed Olivier Giroud who came in and hit the ground running making a big impact in West London. The Frenchman is loving life at Chelsea and became arguably our number one striker playing more games since January than Morata which has restricted the Spaniard to just three goals in 2018. As we all know Alvaro Morata had recently married his Italian wife and since their arrival in London, they have announced that they are expecting a baby. Off the pitch it seems that everything is great for them both here but you can imagine that his wife Alice Campello would want to be closer to her family for support when the baby arrives - this has led to increased speculation over the long-term future of Morata with him being constantly linked with a move back to Italy having played for Juventus for a couple of seasons on loan. 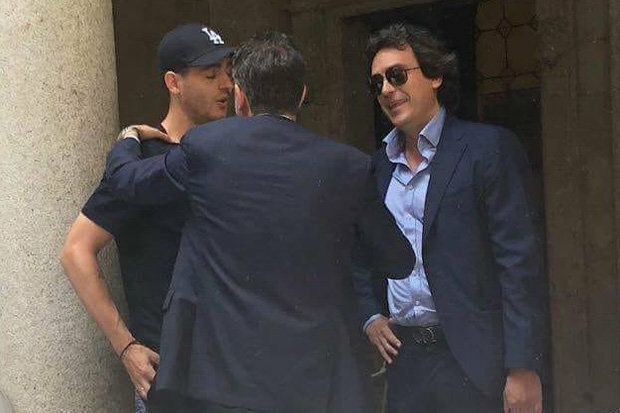 Now it seems as though the rumours have substance according to this report as the striker has been spotted in Milan with his agent meeting officials from Juventus as the Italian side look to strike a deal that is beneficial for both clubs. Previously on here, it was reported that Juventus had approached Chelsea with a three-tiered payment offer to take him on loan with the final instalment made to officially sign him. It now seems as though this is going to happen which is a disappointment. I firmly believe in Alvaro Morata and it's a real shame how the season has played out for him at Chelsea after such a promising start. To lose him would be a real blow but it seems that life off the pitch has also played a part in him leaving - as he is expected to do. Let's hope that Chelsea can negotiate a deal to ensure we make some form of profit on what we had originally signed him for from Real Madrid.